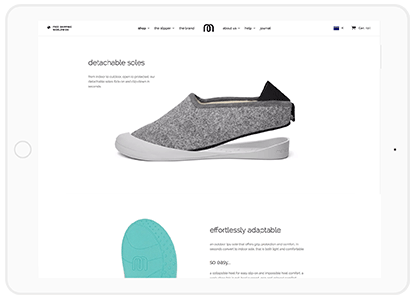 We are the same growth hack team behind brands like Mahabis and Kaisr. Our white label facebook agency is running different business model. We offered white label services such as Facebook Ads/ SEO and Google PPC with proven strategies. World's top eCommerce agency trust us with all their white label Facebook campaigns. There is no FB Ads strategist in the world that can deliver 100% success rate on eCommerce. Even big names like Nicholas Kusmich only work on eCommerce that has product that are convincing to him. It’s all about product market fit. We don’t work with clients that have no clue about their market fit unless they are willing to invest time and resources to learn about their market development and collaborate with us to find the right fit. After finding market fit, our average ROAS on FB has been around 600% to 1450% and on the average eCommerce client engage with us for a year and more. Yes! From white label facebook ads audit, onboarding the campaign and optimisation strategy we will completely hide our identity or use your agency brand. Do we provide branded Facebook ads report for client? Yes! All of our white label facebook ad reporting , facebook ad proposals and growth strategy will be branded to your agency. Do we managed 100% of the white label facebook ad accounts? Yes. We have in-house team of more than 7 facebook ad specialist and 3 account managers. The Facebook ad campaigns will 100% be fulfilled by our team. To get started, we will request access via email and prepare for facebook ad audit. Once audit is done we will share with agency partners and decide if we are confident to scale the campaign. How much is the white label facebook ad fees? For white label facebook ad, we charge about $850/ month one flat rate. Creating a great experience with retargeting in Facebook Ads. Ideal for eCommerce with different range of product category. BRANDS THAT WE HELP TO SCALED! Agency partners that collaborate with us! I've done a lot FB campaigns for my clients, I hired Gerald and his team to help save me some time. So I can say from the perspective of someone who knows what they're doing - Gerald and his team definitely know their stuff.